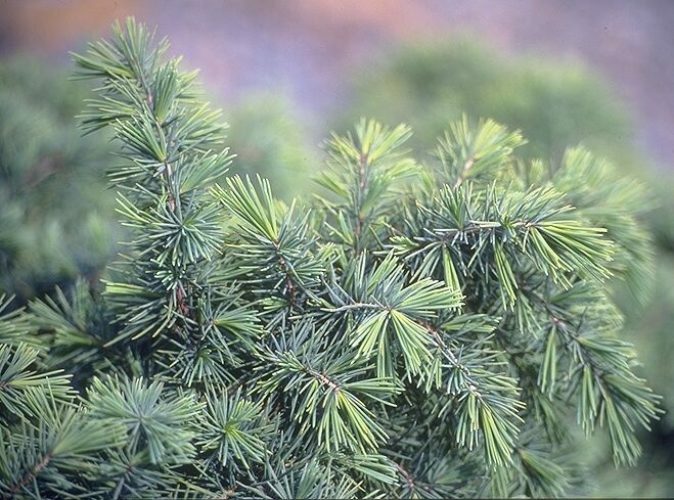 Cedrus deodara 'Devinely Blue' is a fine selection of Deodar cedar that grows as a wide-spreading, flat-topped shrub when young. As the plant matures it will develop apical dominance eventually becoming broadly conical. Branching is typical of the species, radiating outward with nodding branch tips. 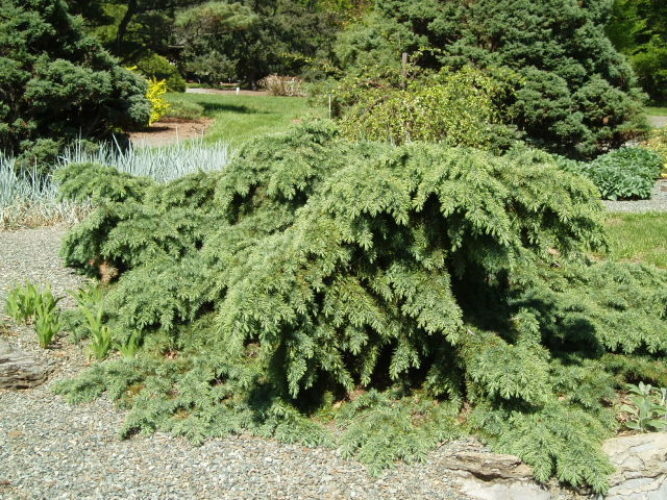 Foliage is quite attractive and unique, Blue-green to powder Blue in color and somewhat longer than those of the type. After 10 years of growth, a mature specimen will measure 4 feet (1.2 m) tall and 3 feet (1 m) wide, an annual growth rate of 4 to 5 inches (10 - 12.5 cm). This cultivar originated as a seedling selected by Angelica Nurseries, Kennedyville, Maryland, USA. They named it in honor of Bill Devine, a retired propagator there. The name is a delightful play on his name and is unfortunately often seen misspelled as, 'Divinely Blue' — proper spelling in error. 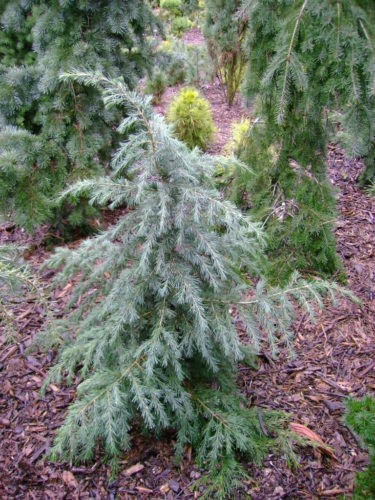 Cedrus deodara 'Devinely Blue' in the Gotelli Collection at The U.S. National Arboretum, Washington, D.C., May 2006. 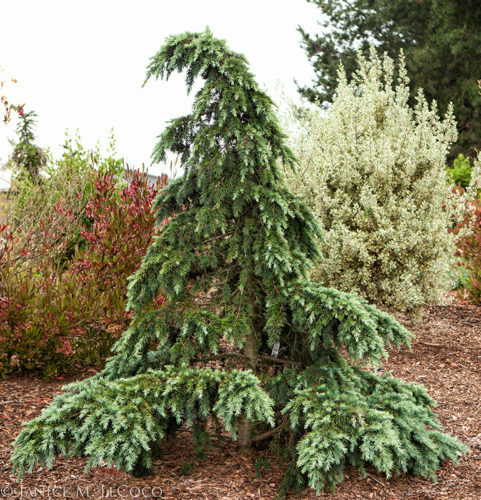 Cedrus deodara 'Devinely Blue' — a mature plant in a private garden in California.